Prime Minister Stephen Harper has embarked on a five-day tour of the Arctic region, a trip that has become an annual event to demonstrate Canada's sovereignty in the Far North. 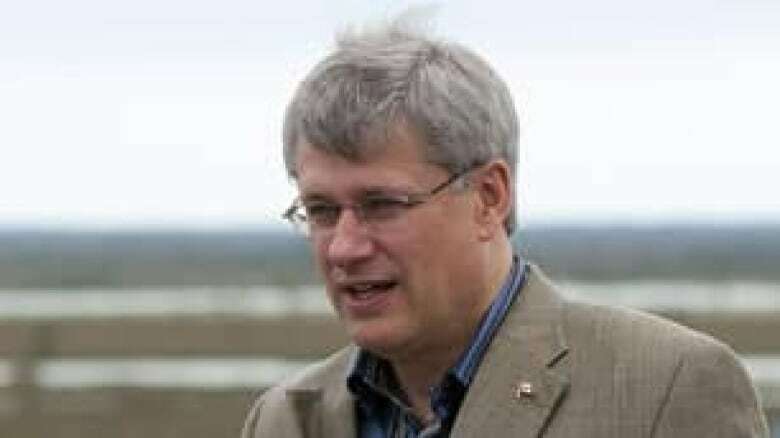 Prime Minister Stephen Harper departed Ottawa on Monday morning for his annual Arctic tour. 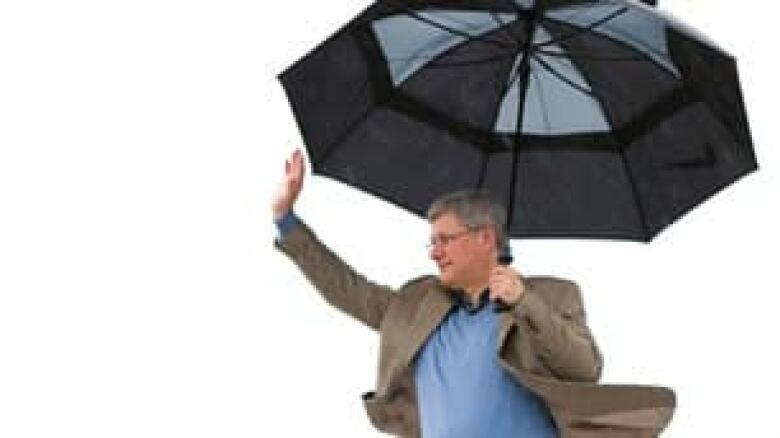 ((Sean Kilpatrick/Canadian Press))Stephen Harper embarked on a five-day tour of the Arctic region Monday, a trip that has become an annual event for the prime minister to demonstrate Canada's sovereignty there. Harper left Ottawa on Monday morning, stopping first in Churchill, Man., to make an announcement of $13.4 million dollars for upgrades to the local airport. The prime minister made clear that the trip is not just about funding announcements. "The first and highest priority of our northern strategy is the protection of our Arctic sovereignty," Harper said, speaking to reporters. "And as I have said many times before, the first principle of sovereignty is to use it or lose it." Last Friday, the federal government issued a news statement on Arctic foreign policy, indicating that making progress on Arctic boundary issues is now a top foreign policy priority. Harper spoke to reporters after the policy statement was released to say that while Canada is open to working with partners in the region "where appropriate," Canada's Arctic sovereignty is "non-negotiable." Canada disagrees with the United States about the border in the Beaufort Sea and with Denmark over control of Hans Island off Greenland. Harper responded Monday to reports that a Danish cruise ship apparently landed 64 tourists on Hans Island, just last week, in an apparent effort to prove Denmark's claim to the island. "Hans Island is a one-square-kilometre rock in the middle of the Arctic Ocean, so I'm not sure it would made for much of a tour," he said. "But as you know, we are committed with Denmark to try and work out a resolution to that particular dispute. And it is progressing well. Obviously, we have bigger fish to fry in terms of our long-term economic development of the north." The North has become a coveted region because of potential oil and gas reserves as well as the prospect of a navigable Northwest Passage if climate change continues to warm the area. On Tuesday, Harper will continue north to Nunavut, where there is a Canadian Military Arctic sovereignty exercise called Operation Nanook. That exercise is entering its final week. The prime minister will also travel to the Northwest Territories and Yukon before returning to Ottawa on Friday.